Lively, full and almost opaque ruby color. 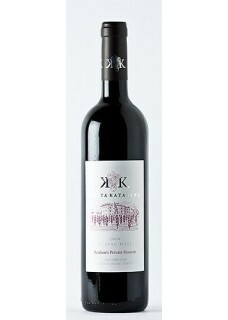 It is full-bodied and it has a recognizable varietal aromatic profile with the ripe flavors of dried and stewed fruit followed by Mediterranean herbs and spices. Very mineral with mature tannins and a truly long finish. A strong potential for aging. This Plavac Mali is delicious with a salty finish. Food pairing: With steaks and roasted fish, game.